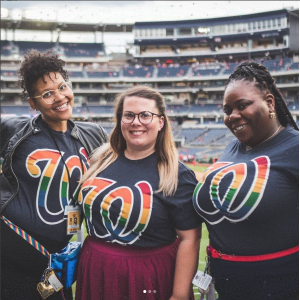 June is a great opportunity to reflect on the true meaning of Pride month, and at Levy we not only celebrate the LGBTQIA+ community throughout the month, we celebrate them every day. 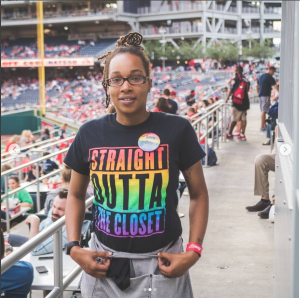 We believe in empowering our LGBTQIA+ team members to make sure they are included and comfortable expressing themselves, and we want to make sure that we’re taking progressive steps to help every team member live their best, authentic life. We’re a family at Levy, and we unequivocally value each individual, regardless of race, ethnicity, age, and sexual orientation. 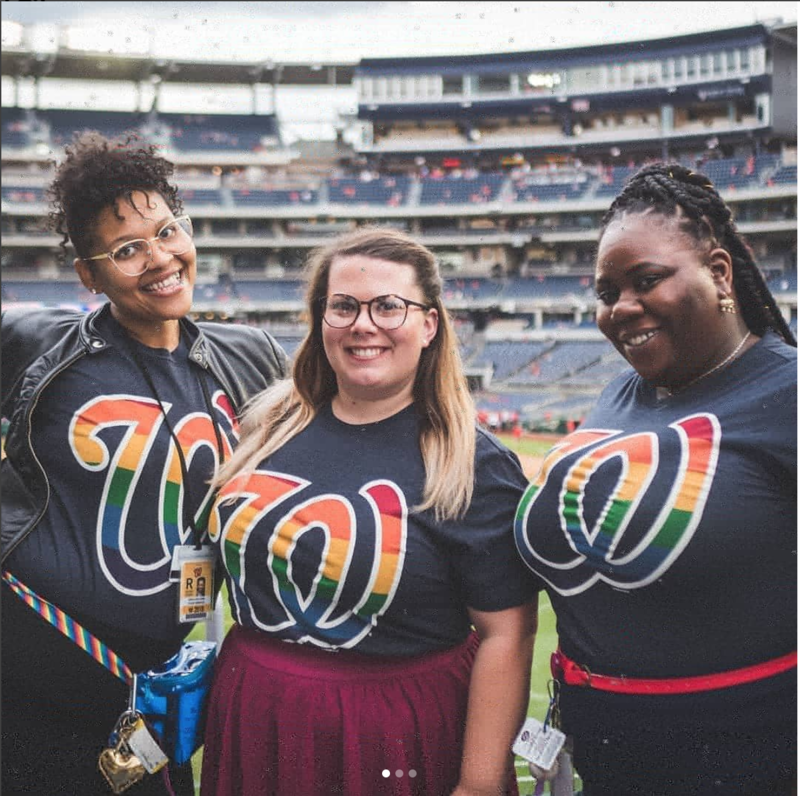 WASHINGTON, DC – Our team at the Washington Nationals showed its support for Pride Month by providing team members with rainbow colored Nationals shirts. 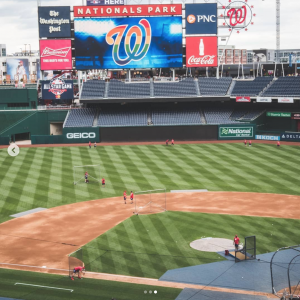 They also displayed the logo on its jumbo screen on the field so all guests could see the celebration of Pride Month. 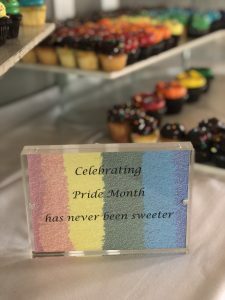 CHICAGO, IL – At the Home Office, a rainbow cupcake display was available for all team members to enjoy. 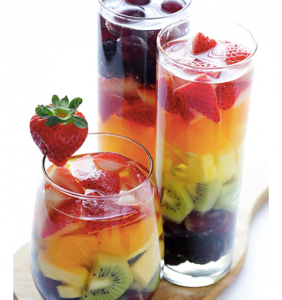 LOS ANGELES, CA – What is more enticing than Staples Center’s rainbow sangria to quench your thirst? 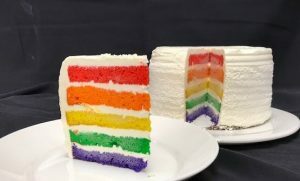 HOUSTON, TX – BBVA Compass Stadium celebrates Pride Month by making six colorful layers of delicious cake. Our parent Company, Compass Group, also embraces the LGBTQIA+ community on a daily basis, and at Levy we’re proud that our parent Company demonstrates our same commitment to diversity and inclusion. For several years, Compass has participated in the Pride Parade in Charlotte, North Carolina, where it is headquartered. In addition, Compass offers learning and development opportunities for new associates that focus on diversity and inclusion. Forbes recently ranked Levy as America’s third best employers for diversity. We’re proud of this recognition, and are committed to being better, more inclusive, and a diverse Company so that every team member past, present, and future is celebrated 110%. At Levy, we’re constantly asking ourselves “How do we push ourselves to be more inclusive and thought-provoking with business? How do we make people more comfortable sharing who they are with our culture?” Celebrating pride doesn’t begin and end with a month at Levy, because Levy is dedicated to encouraging the community to live in a non-discriminatory society that is accepting of everyone.